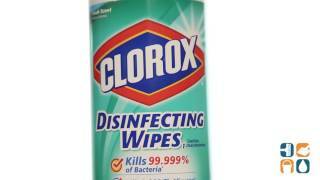 The Clorox Fresh Scent Disinfecting Wipes are bleach-free, pre-moistened wipes that effectively clean and disinfect in one step; kill 99.9% of bacteria, including staph and salmonella. 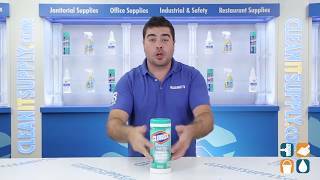 Bleach-free wipes are ideal for day care centers, offices, schools and restaurants. Fresh scent. Each wipe is a 7" x 8" size. 35 wipes per canister. Includes one canister.